okayest mom ever: Bowled over . 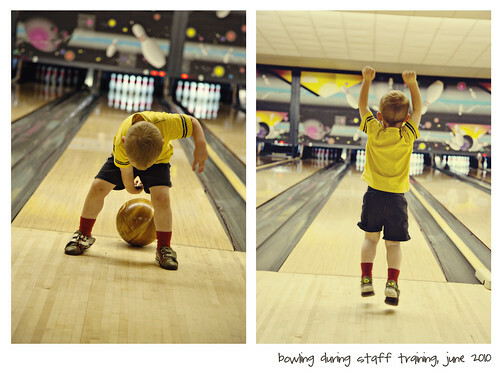 . .
And the last of the staff training pictures of my kids is from our bowling trip on the last evening of staff training. Ben and I were there just long enough to take a few pictures of Jack, but the word on the street is that Jack got a spare after we left . . . with a little help from Kyle, of course. love that elated jumping pic! great shot.